As we head into the holiday season, it's a great time to start thinking about pre-empting the damage from all the indulgences coming up in the calendar. Whether it's lots of dehydration from the fabulous parties, all the sugary sweets and junk food we'll be eating, the weather or even excess hair and makeup, this time of year can certainly take its toll. This year I'm preparing my hair for the onslaught with Dove's Advanced Hair Series Regenerate Nourishment range to combat all the excessive heat styling that comes with colder weather and to keep my hair in tip top shape through the holidays. 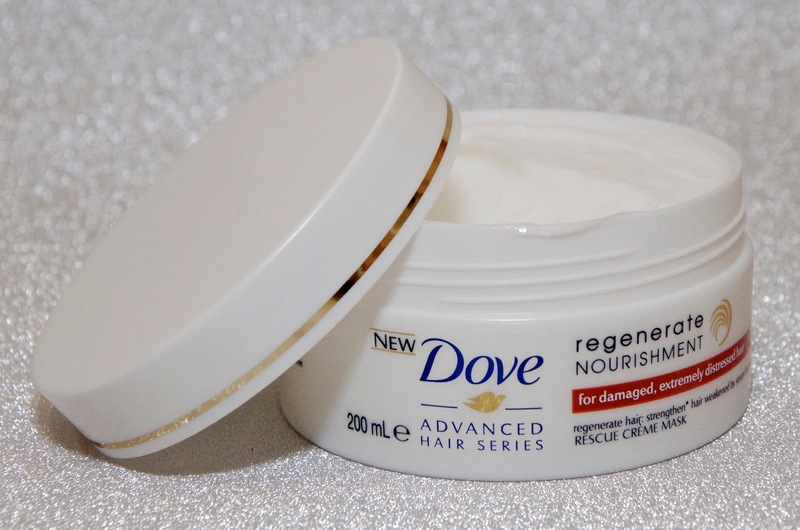 I already put my hair through the ringer with regular highlights and a fair amount of heat styling and since using the Dove Regenerate Nourishment haircare products, I've seen a definite difference in the look and feel of my hair. I've been using it for a few weeks now and even my colorist complimented me on my hair yesterday, saying how shiny it looks lately. I'd say that's progress given that I normally hear about how dry it is and how I've not looked after it properly. Progress! Dove Regenerate Nourishment is made for getting tired, damaged hair back to looking its best. It's like a time machine for your hair, taking your locks from drab to fab as though the damage never happened in the first place. Using red algae and Keratin NutriComplex, these products pump nutrients deep into the strands of hair. Honestly, I can't rave enough about these products. Every time I use them, my hair is so soft and shiny that I can even rough dry it without a blow dry brush and it's so smooth and soft, yet without a visible loss of volume. Pretty impressive, if you ask me! The shampoo & conditioner from this range are fabulous. I get a great lather from the shampoo and it leaves my hair feeling fresh and clean. The conditioner is rich and smoothing. I find a little goes a long way with these products and they leave my hair smooth, clean and silky. I also love their scent and every time I use them, someone compliments me on how good my hair smells! I'm also a big fan of the packaging. Tubes with flat lids are easy enough to store in any shower or bath with very little hassle. 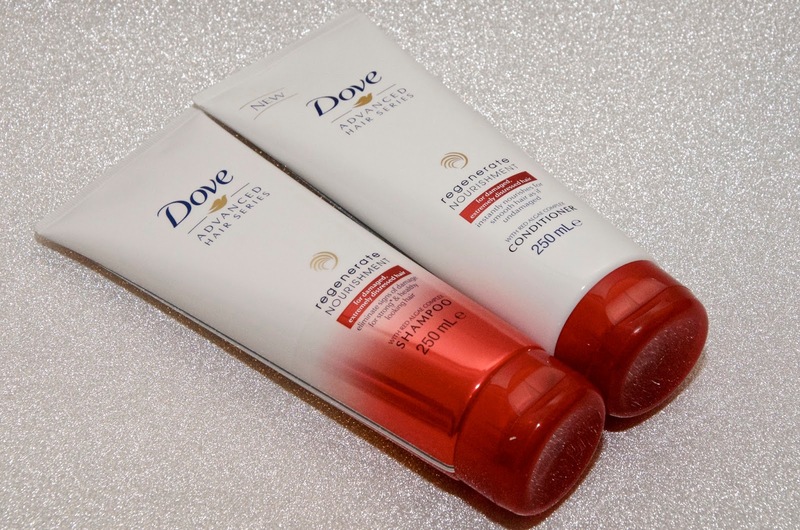 While the shampoo & conditioner certainly shine on their own, they are made even better with the addition of the Dove Regenerate Nourishment Rescue Creme Mask, a hero of a product to have in the shower. I only wash my hair 2-3 times per week, so I generally use this about once or twice a week and I see incredible benefits every time. My hair becomes shinier and more manageable. That said, when I feel as though I really need it, I use this mask every time I wash my hair, sometimes only a day or two after the previous application. I never find that it leaves my hair oily or flat like some hair treatments do and it doesn't effect the length of time I can go without washing my mane, so I'm really impressed with this inexpensive hair savior. 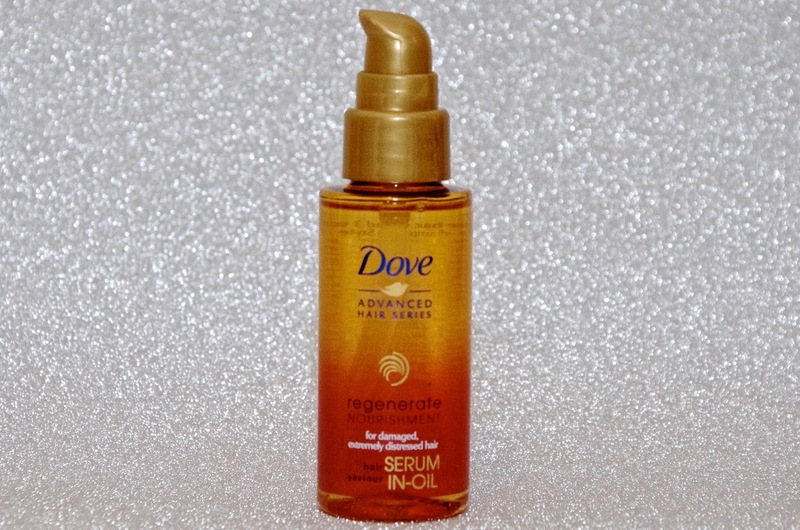 Dove Regenerate Nourishment Serum In-Oil is a unique product that combines oil with serum for nourishment and restoration in the same convenient product. This product can be used when the hair is damp before drying or when it's dry for styling. I love it! I use this in addition to my regular blow drying products which include a heat protection spray, a quick dry spray and a volume spray. I find they all work really beautifully together. I also love a drop of this for smoothing fly-aways, but when I don't feel like doing a proper blow dry or styling my hair, I use a couple of drops to smooth through my hair and find that it does the job for day-to-day when I'm giving my locks a day off from the stress of too much product and heat styling. Finally, I like to use Dove Regenerate Nourishment Serum In-Oil before I go to bed the night before I wash my hair. I put a good amount in and tie my hair up, leaving the oil in my hair like a mask to do its job overnight while I sleep. 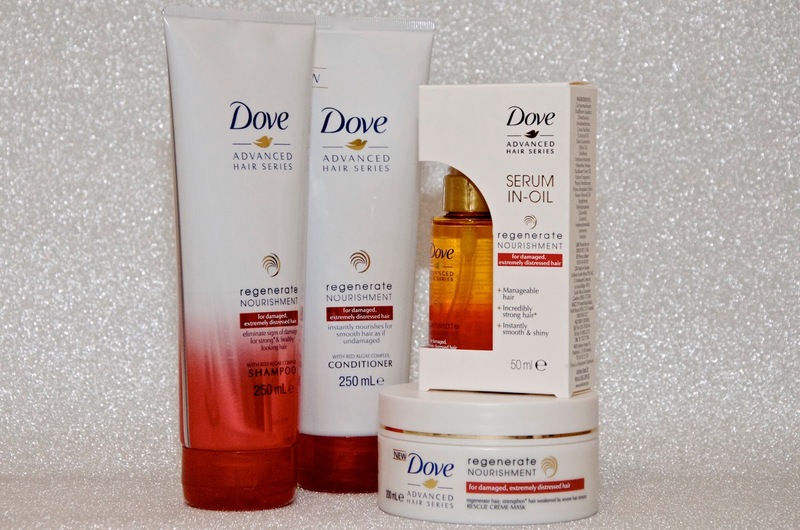 Though I've never used any Dove haircare products in the past that I can remember at all, I would say that the Dove Advanced Hair Series Regenerate Nourishment Range offers some of the best high street haircare products I've ever tried. These products tick all the boxes and at a fraction of the cost of expensive luxury haircare brands. I'm well impressed and I'll definitely be purchasing these again in future.